Powered by a 14 H.P Honda GX 390 electric start engine this robustly built track dumper has a load capacity of 1 ton. Hydraulically driven comes with braked drive motors. Compact with a maximum width of 750mm and a length of 1900mm it can turn on its own length offering greater accessibility and maneuverability in urban areas or areas where larger plant can’t gain access. 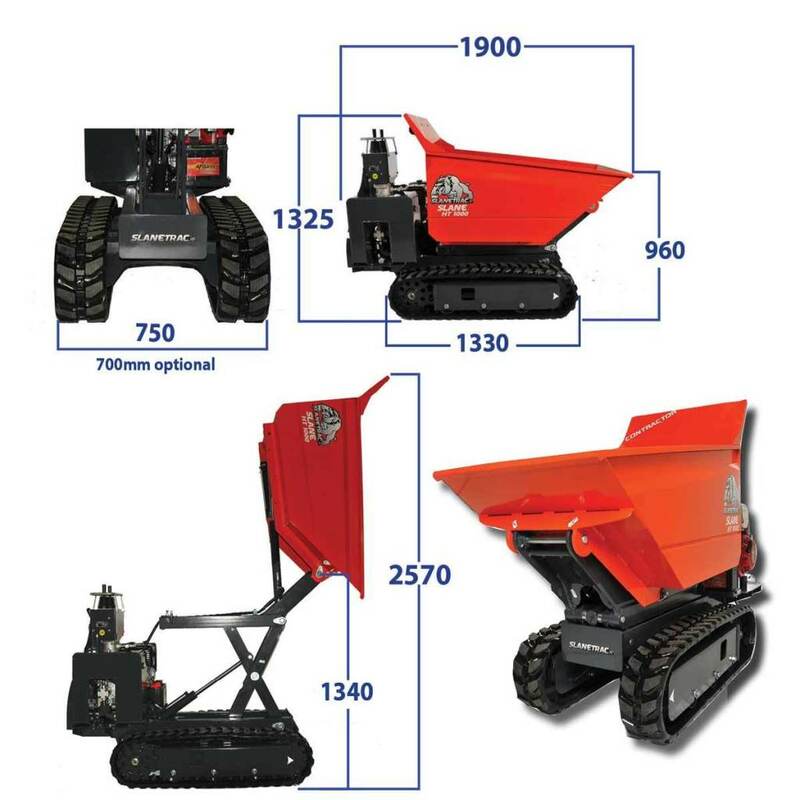 Complete with hi tipping capacity the HT1000 offers a tipping height of 1300mm and easily tips into skips. With a very low ground pressure and rubber tracks the HT1000 offers minimum ground damage while excellent gradability and stability ensure safe operating of the dumper.